In tune with its philosophy of providing the best teachings to its Students, Ajarya Yoga Academy invites applications for its Ongoing Yoga Teacher Training Courses. Yoga is an extremely deep science and there are various schools of thought and teaching which bring their own perspective to this great science. Unfortunately for Yoga, many of these great schools of teaching remain isolated from each other. With their rigid attitude, they often disregard other schools as a ‘deviation from purity of teachings’. This is simply NOT the case. Just as human beings vary in individual dispositions and conditionings, it is natural that the teachings have variations in their content and emphasis areas. It is for the student to realize at what stage of evolution he (or she) stands and what appeals to his heart at the current stage of their development. Indeed, it is not uncommon to find individuals transforming from a deep interest in practice techniques to a shifting interest towards philosophy and vice versa. Even in the practice segments, some find a dynamic intensive style helping them more than a passive sedentary style. With this reality, it would be childish and anti-yogic really to disregard any school of teaching as incorrect OR insufficient. Yoga is NOT about getting “there”. It is about finding unity and harmony in the “now”!! If you are an experienced Yoga practitioner and Teacher, and would like to impart your teachings to upcoming teachers who, in turn, can teach yoga to their communities in their countries, we invite you to help equip our students with your teachings. 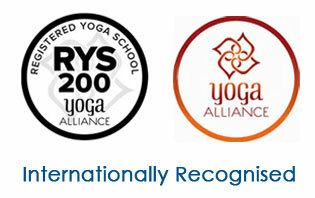 Ajarya Training Programs are presently held in Rishikesh, the World Capital of Yoga.